Little Felicie is part of the Grand Family range of soft animal toys from Moulin Roty. Measuring at 30cm from head to toe and in soft orange plush body, bright range comb. With a pretty dress which can be dressed and undressed she's sure to be loved. 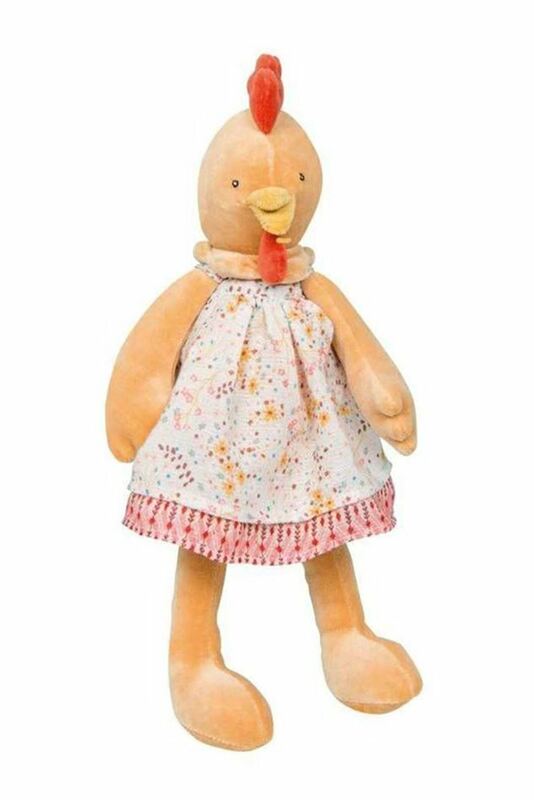 Little Felicie the Chicken by Moulin Roty is a special girl with her dangly legs and pretty floral dress. Made from soft materials and fully washable she makes the perfect companion.